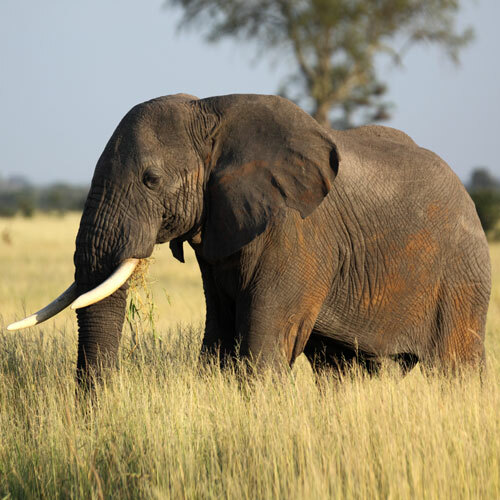 In a March post, we talked about what amazing animals elephants are and how they can even paint. 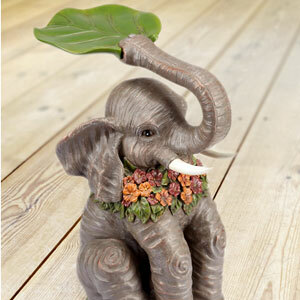 And I promised that I’d explain why an outdoor décor site like ours is spotlighting elephants. 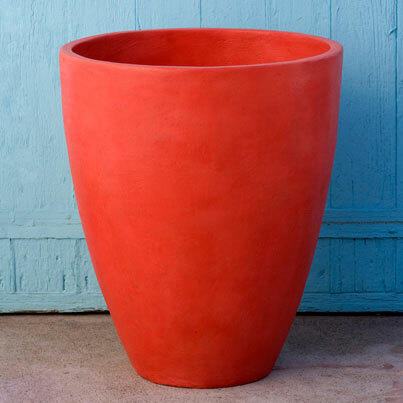 It’s been a little over 18 months since we began developing the Bombay Outdoors collection of original and distinctive outdoor décor. From the very beginning our goal was to design a new line of outdoor furniture and accessories that integrates timeless style, unexpected details, and global inspiration with comfort and affordability. Now all the hard work has paid off and we’re excited to show you the Jaipur Elephant Side table, one of the eight items from our 2015 collection that will be available online starting this Memorial Day weekend. Here it is, our new Bombay® Jaipur Elephant Table, which comes with the metal accessory. You can hang a plant on the hook, put a candle in the candle holder, or both. Brooks, the designer of this piece, says he was inspired by the ceremonial rituals that underpinned the workings of the royal courts of India. We are especially proud of Brook’s Bombay Outdoors Jaipur Elephant Table, but we also like the two elephant tables below. This Bali Elephant table (from our partner company, Bombay Furniture) blends warm colors of antique gold and silver. 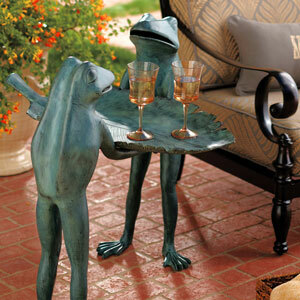 A foot tall, it’s back tray is perfect for books, beverages, or a small cushion. This umbrella patio table from Frontgate is made of a faux stone composite. Both of the following elephant sculptures are from etsy and designed to hang on walls but that’s where the similarities end. The first is multi-colored brass with intricate designs. The next sculpture is this bright, Kelly Green Leafy Elephant wall hook, handmade in Houston; it really pops with color! If you’re a person who not only enjoys the sound of wind chimes while but also likes elephants, this one from world market is for you. Looking for something a little bit bigger? The elephant sculpture gives this entire Vancouver patio a touch of whimsy. If the sculpture above is too large and you have a covered space, this festive Elephant embroidered pillow (though not available online) will add an eye-catching pop of color with its hand painted leaves and embroidery. 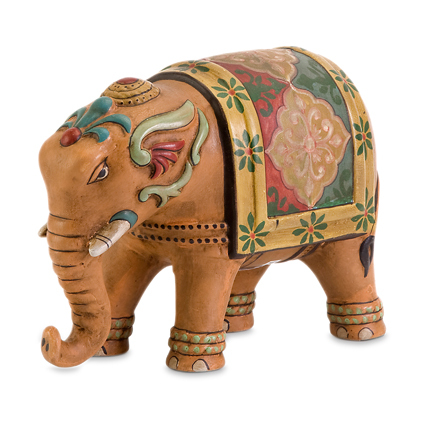 Although petite, this glazed terracotta circus elephant from Bombay Company is hand painted in authentic patterns and festive colors to give extra pizzazz to any space. That’s just a small sampling of elephant décor we like. 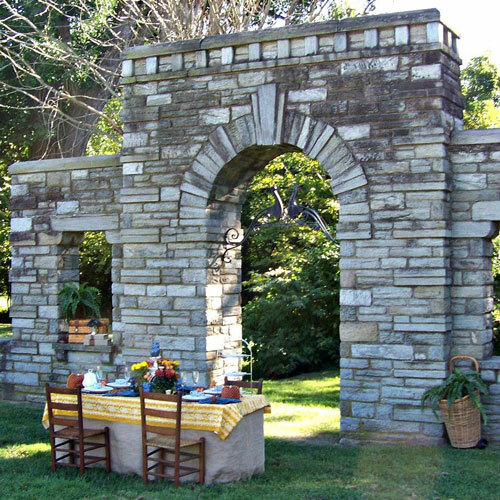 And here’s a look at all the new outdoor living décor at Bombay® Company. Our Favorite Animal Character Tables!